The challenges and opportunities resulting from the latest disruptions to magnesia supplies in China, and the changing global dynamics of magnesia supply and demand, are numerous. In the short term, the availability of dead-burned magnesia (DBM) and fused magnesia (FM) will be a problem for refractory producers that do not have their own magnesia resources. But there is no lack of magnesite outside China, and in the medium to longer term this presents opportunities for both existing and aspiring magnesia producers. Supply has been developing in a number of areas other than China, and these are now gaining in prominence. Turkey, Russia and Brazil have historically been important producers and exporters, but others are also making progress and are seeking to capitalise on the disruptions in China. Magnezit Group has total reserves of 260 million tonnes in Russia, split between 150 million tonnes in the Chelyabinsk region (Satka) and 110 million tonnes in Razdolinsk (Krasnoyarsk Territory). In 2011, Magnezit Group obtained a license to develop the Talsk deposit, while the nearby Kirgiteisk deposit near Razdolinsk has been developed since 2006. Since early 2013, magnesite has been produced in Razdolinsk on a commercial scale and has become part of the production cycle at the Lower Angara (Krasnoyarsk Territory) and Satka production sites. Over the period 2016-29, output from the Magnezitovaya magnesite mine will grow to 1.6 million tonnes per year from the Satka asset. Magnezit’s output capacity for magnesia in 2017 was 700,000 tonnes (630,000 tonnes of DBM and 70,000 tonnes of FM). This will increase by 2023 to 915,000 tpy (730,000 tpy of DBM and 185,000 tpy of FM). 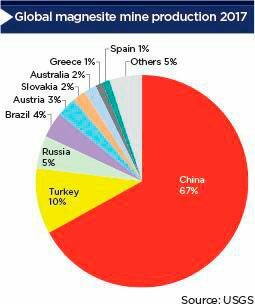 Turkey has the third-largest magnesia production capacity in the world behind China and Russia, with 960,000 tpy. It has the fifth-largest magnesite resources globally at 700 million tonnes, behind China, North Korea, Russia and Brazil. Resources in six regions in the country include Konya holding 30.6%, Kutahya 26.6%, Eskisehir 28.3% and others 14.5%, based on cryptocrystalline magnesite. There are also sedimentary magnesite deposits in Turkey which have not yet been developed. 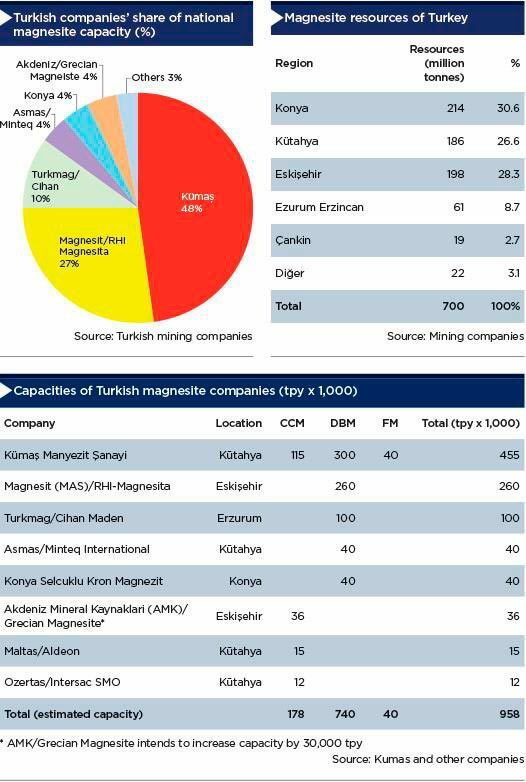 There are eight main companies in Turkey with Kümaş accounting for 48% of total capacity, Magnesit AS/RHI-Magnesita 27%, Turkmag 10% and others 15%. Capacity by products is caustic calcined magnesia (CCM) 19%, DBM 77% and FM 4%.Kümaş Manyezit Şanayi controls 12 major mining areas with 82 deposits. In 10 mining areas, 1,926 boreholes have been drilled and tested. Mineral resources (measured and indicated) are 31.34 million tonnes and mineral reserves (proved and probable) are 64.75 million tonnes, totaling 96.09 million tonnes of resources and reserves of magnesite. – One rotary kiln and two shaft kilns with capacity for 55,000 tpy. Turkmag has capacity for 100,000 tpy and was commissioned in December 2010. Magnesite reserves exceed 20 million tonnes. Production in 2017 was 140,000 tonnes of magnesite ore and 50,000 tonnes of DBM. Projected production for 2018 is 240,000 tonnes magnesite ore and 90,000 tonnes of DBM. Investment is planned for a second rotary kiln in 2019-20. Akdeniz Mineral Kaynaklari (AMK) is a joint venture with Grecian Magnesite. AMK has three main concessions totaling 4,238 hectares. Mining of cryptocrystalline magnesite is from open pits near Eskişehir – one of which is Sazlik. There are four pre-beneficiation facilities at Aktepe with the main plant at Erenkoy. 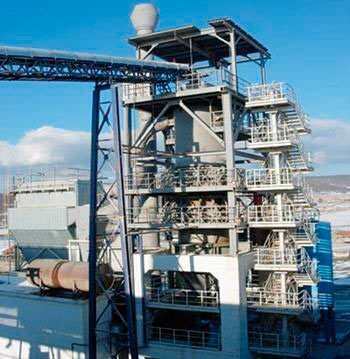 AMK’s production plant and rotary kiln are at Kümbet, with two shaft kilns and rotary kilns for CCM production. The capacity of the plant is 36,000 tpy but AMK plans to increase this by 30,000 tpy. Demireller Mining has a mining license covering 1,853 hectares near Mut, in Mersin province. The deposit is cryptocrystalline magnesite and proved reserves are 5 million tonnes, with more resources to be evaluated. The magnesite deposit shows a range of qualities with SiO2 (0.25-5.0%), CaO (0.3-1.2%), Fe2O3 (0.25-1.0%), MgO (43-47%) and LOI (46-51%). The location is 160km from Mersin Port. Halil Demirel is the president and chief executive officer of the company, which has been producing raw magnesite since 2013 and supplying to DBM producers in Turkey. There are two beneficiation plants at the mine, and Demireller has purchased a rotary kiln (105m long, 3m wide) with capacity for 90,000 tpy of DBM. The kiln is onsite now but has not yet been installed. IBAR-Nordeste has two operations in Brumado-BA and Jucás-CE. In 2017, Brumado IBAR’s capacity was 180,000 tpy (160,000 tonnes of CCM and 20,000 tonnes of DBM), while Jucás had capacity for 30,000 tpy of CCM. Reserves at Brumado are 100 million tonnes and at Jucás 3 million tonnes. A significant expansion at Brumado will be a new rotary kiln – the fourth one at the site. 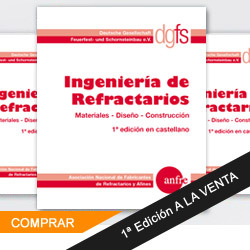 There will be a new MHF for calcining in combination with a shaft kiln for sintering. A flotation project for making high-purity MgO (minimum 96.5%) will target both the CCM and DBM markets. Flotation trials have already been commissioned and show positive results in terms of achieving higher grades. Magnesium do Brasil has mines and a plant at Jucás-CE. There are two shaft kilns and current production capacity for CCM is 75,000 tpy. Resources of magnesite are 52 million tonnes. At present, there is a new shaft kiln on site, yet to be installed, which will increase capacity by about 30,000 tpy. Following many years of uncertainty, Finland’s Afarak Group in May 2018, acquired Magnohrom, a refractory company with magnesite mines and production facilities in Kraljevo, Serbia. Following completion of a two-year sintered magnesite test project (DBM and CCM) at the Magnohrom plant, Afarak acquired the business for €1 million ($1.17 million) with confirmed reserves of more than 4 million tonnes. “Afarak will invest in upgrading the technology and equipment at the mines and processing units,” Afarak CEO Guy Konsbruck said. The deposits are cryptocrysalline magnesite with veins and stockworks. 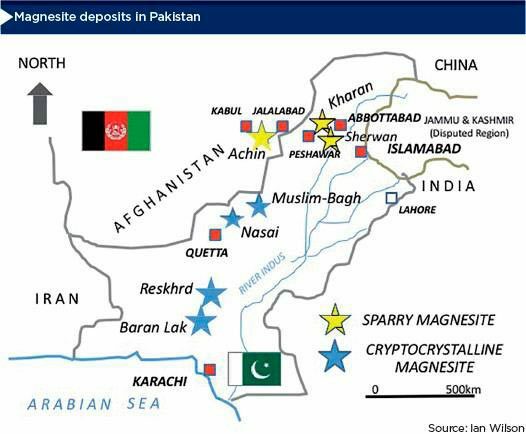 Pakistan has two types of magnesite, with macrocystalline (sparry) associated with dolomite near Abbottabad in the north, and cryptocrystalline magnesite in the south associated with ultra-basic rocks (mainly serpentine). Both types are suitable for DBM and CCM, with the cryptocrystalline magnesite being a higher quality. A sketch-map of some of the deposits of Pakistan is shown on the following page. At present, magnesite is mined in the Abbottabad area and in the Muslim-Bagh, Nasai, Reskbrd and Baran Lak deposits. There are small local kilns producing some DBM and CCM. Recently, raw magnesite has been mined and exported in containers. Master Minerals (a new company) has exported some MB grade material from Muslim-Bagh, with trial shipments to China and Greece. Another company is exporting raw magnesite Grade WH to India. Two magnesite deposits, Korab and Thessally, in Northern Territory are being developed but as yet there has been no production. Korab Resources is developing the magnesite deposit at Winchester. Indicated and inferred resources are 16.6 million tonnes at an MgO Grade of 42.3%, covering just 7% of the mineralized trend, which continues for about 8km. The mine can produce various grades of magnesium carbonate rock (42-46% MgO). The primary aim is to export magnesite ore to other countries, and it is believed that India will be a target market because there is a shortage of high-quality magnesite due to mine closures in Salem on environmental grounds. Thessally Resources is the sole owner of the Huandot magnesite deposit at Bachelor, 60km south of Darwin. Mineral resources are 17 million tonnes at 43% MgO, and high-grade magnesite resources are 9.1 million tonnes at 44.3% MgO and 4% insolubles. The exploration target is 13-20 million tonnes at 42-46% MgO. This is the closest Australian deposit to the Asian markets. It is next to road and rail links, and has electricity and gas utilities, together with year-round access to mineral tenements and a major port. The East Wharf near Darwin is a deep-water port able to accept Panamax-size vessels. Calix Ltd (Calix) owns and operates two mining tenements at Myrtle Springs in South Australia. These tenements were acquired for A$1.0 million ($742,000) in 2013. Magnesite is processed at Calix’s CFC (Calix Flash Calciner) plant at Bacchus Marsh in Victoria. Calix launched an A$8 million initial public offering (IPO) in June 2018 and part of these funds is intended to increase production of high-reactivity CCM from the current 10% of the rated capacity for 25,000 tpy of CFC. – Archer Exploration announced in July 2018 the sale of its Leigh Creek Magnesia Project, which includes two exploration licenses in South Australia, to an unnamed private Australian company. EcoMag issued a prospectus in June 2018 to raise A$3 million prior to listing in August 2018. The company is looking to develop its new process to produce magnesium-based materials including hydrated magnesium carbonate and CCM from bitterns, a waste product from salt manufacture. MGX Minerals released an NI 43-101 PEA for its Driftwood Creek magnetite project in British Columbia, Canada, in April 2018. It envisages production of as much as 170,000 tpy of CCM and 95% MgO DBM. Measured and indicated resources were 7.8 million tonnes at a 42.5% MgO cutoff. RHI Magnesita restarted production of FM at Porsgrunn in Norway in January 2018, and is expected to increase production to full capacity. 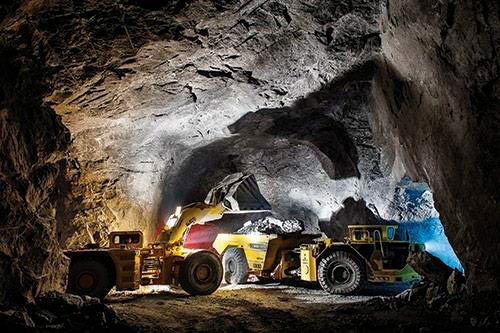 It also announced that its dolomite mine in Chizhou, in China’s Anhui province, will restart at the end of 2019. Prior to these developments, RHI Magnesita claimed 70% vertical integration in magnesite and dolomite raw materials and annual production of 760,000 tpy of standard DBM (90-97% MgO), 280,000 tpy of high-purity DBM (+97% MgO), 110,000 tpy of FM and 400,000 tpy of DBM. K+S completed its acquisition of CCM and synthetic magnesium sulphate producer Huludao Magpower Fertilizers (Magpower) in China in January 2017. The current capacity of 90,000 tpy will be doubled to 180,000 tpy. MIMC’s magnesite manufacturing facility in Saudi Arabia has capacity for 39,000 tpy of CCM and 32,000 tpy of DBM. First sales of 2,000 tonnes of DBM (>94% MgO) were made in 2017 and were expected to increase in 2018. Increased sales of fertiliser-grade CCM are also expected. Global production from magnesite mines in 2017 has been estimated to be 27 million tonnes, of which 67% was produced in China. In 2017, China exported about 884,000 tonnes of DBM, 654,000 tonnes of CCM and 428,000 tonnes of FM, a total increase in magnesia exports of 34% compared with 2016. The increase was largely a result of expected supply problems from China. It has been estimated that the refractory market accounts for about 75% of the global demand for magnesia, and that China produces about 80% of global FM and about 44% of global DBM. In June this year, IHS Markit estimated that the global market for CCM, excluding production of DBM and EFM, was about 4.4 million tonnes in 2017. It divided applications into construction (39%), agricultural (26%), magnesium chemicals (15%), environmental (11%) and other (9%). It also estimated a modest compound annual growth rate (CAGR) of 1.8% for 2017-22. Also in June, Roskill estimated that China produced about 3 million tonnes of CCM in 2017 while the rest of the world produced about 1.5 million tonnes. China’s production of refractory materials decreased by about 4% in 2017 to 22.9 million tonnes. And 2017 was the fourth consecutive year of declining refractory production, despite increasing steel production over the same period, due to increased efficiencies in steel production and a declining steel specific consumption (kg of refractories per tonne of steel produced). Also over the same period, the percentage of monolithic refractories consumed by all Chinese industries increased to 43% from 40%. Refractory production in China is forecast to continue to fall while steel production stabilizes or decreases, and the use of recycled steel increases from its current low level of 6% of total production. In ten years’ time, annual Chinese refractory consumption is expected to fall to 15-16 million tpy, with production about 17-18 million tpy. Refractories production outside China is expected to increase in the next decade to about 16 million tpy from its current level of about 13 million tpy. But combined with the declining production in China, it is expected that annual world refractory production will initially decline and then remain in the range of 33-34 million tpy until about 2030. Industrial Minerals pricing data shows increases in Chinese export prices for all grades but particularly DBM and FM, starting around July 2017 and accelerating for most grades in October 2017, or for higher purity DBM in March 2018. By June 2018, there had been some price reductions from the peak values except for the highest purity products, such as FM (98% MgO) and DBM (94-95% and 97.5% MgO). With modest growth expected in demand for CCM and little growth foreseen in demand for DBM and FM, together with significant resources outside China, the main issue is how quickly production of DBM and FM can be increased outside China to compensate for any decline in supply from China. The current higher Chinese prices will obviously improve the financial viability of such plant expansions and developments outside China. It remains to be seen whether the planned consolidation of Chinese magnesia producers will affect how widely this change is felt, or whether the enormous reserves of magnesite in other places such as North Korea will be the basis for the next – and fourth – disruption to the global magnesia market. Dr Richard Flook has worked with companies including Steetley plc, Anglo American, Commercial Minerals (now Sibelco), Normandy Mining Ltd, Omya AG and Shinagawa Refractories. He is the Managing Director of Mosman Resources. Dr Ian Wilson has worked with IGS (now British Geological Survey), English China Clays and IMERYS. He was General Manager of ECC do Brasil and Joint Managing Director of CEDESCA in Spain.